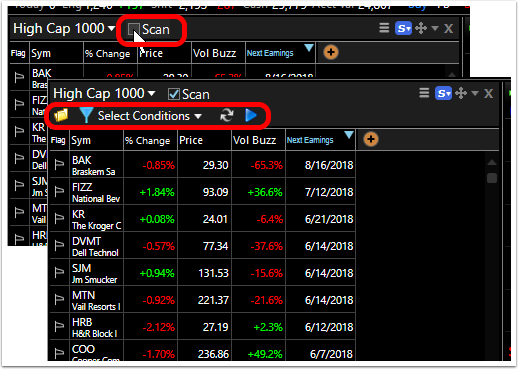 You can now Scan any WatchList on the fly with any Condition or Condition Set saved in the Condition library. 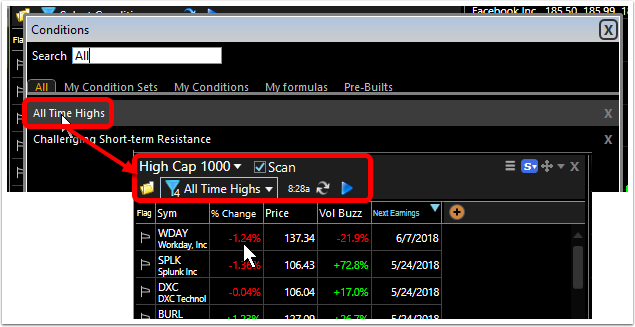 This allows for quick access to and application of any saved conditions to any WatchList being viewed. 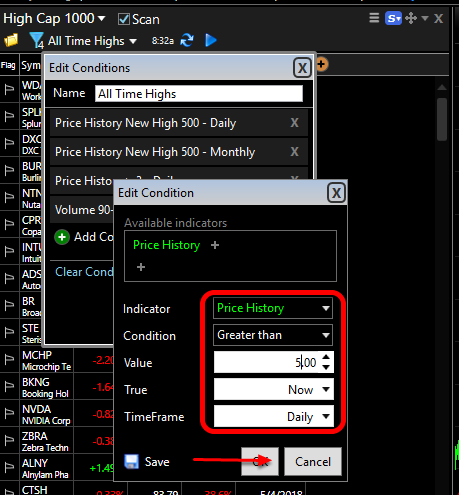 Here are the steps for Scanning an existing WatchList using saved condition(s). 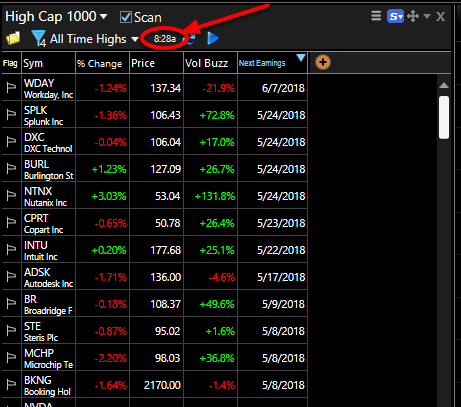 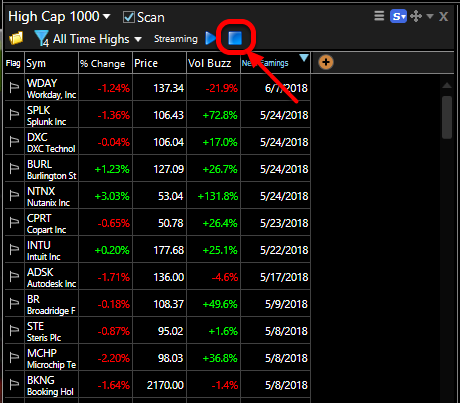 This opens the Scan menu within the WatchList. 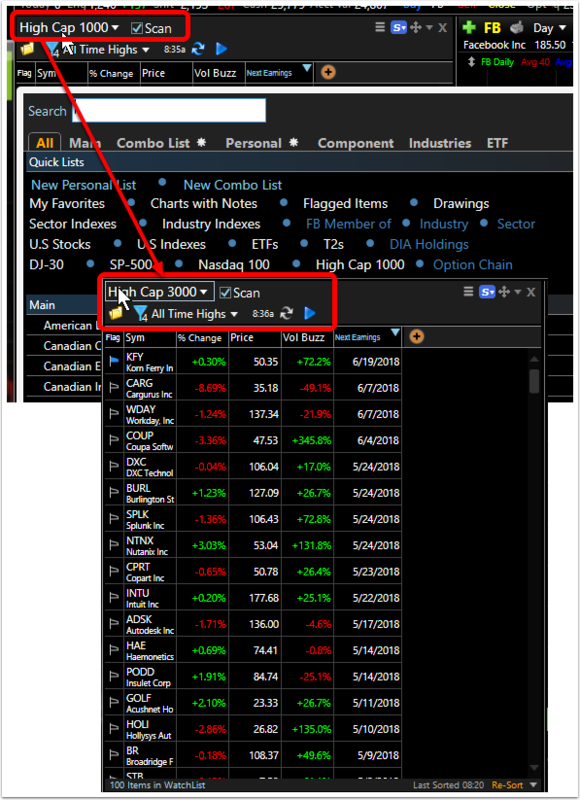 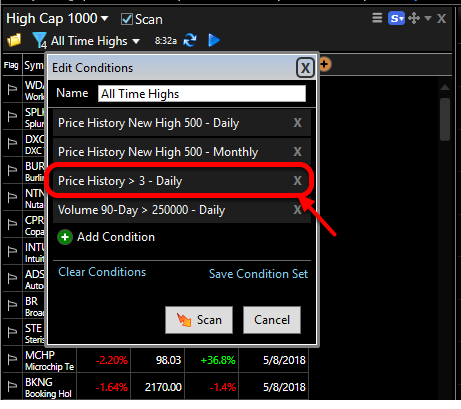 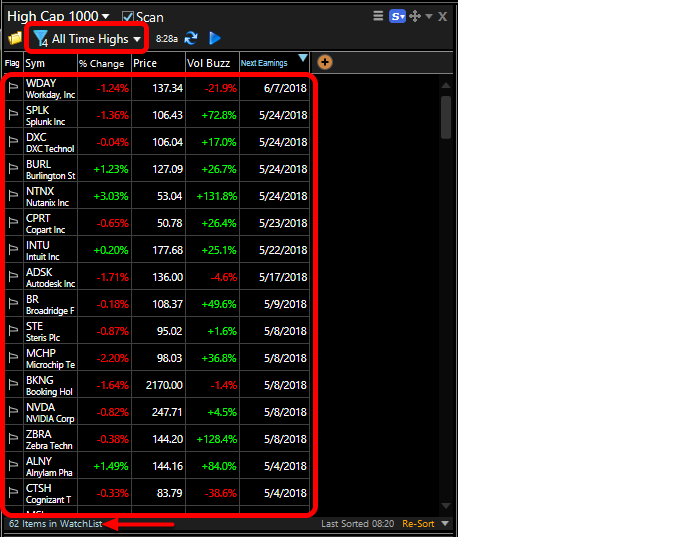 Click on the Condition/Condition Set name in the list to initiate the scan in the WatchList.